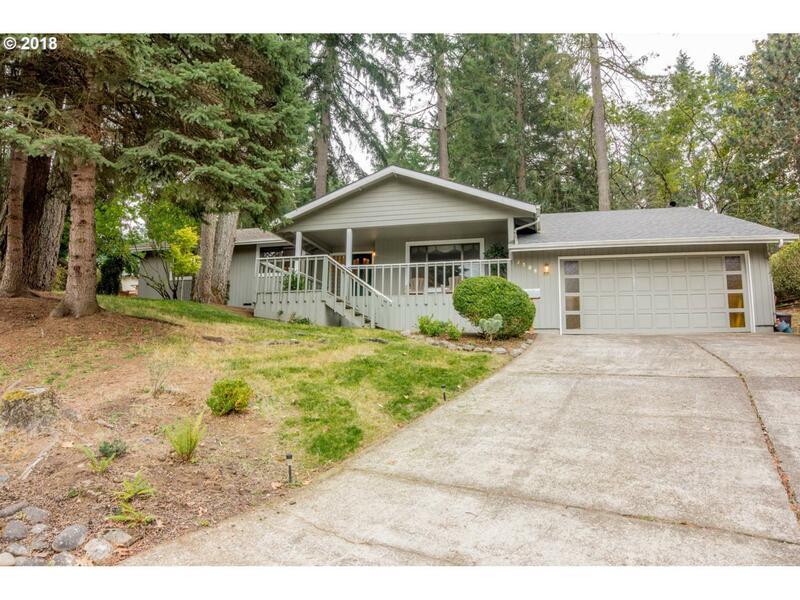 This spacious single-story home is tucked into the cozy forests of Eugene, Oregon--mere minutes away from 1-5, shopping and great food. Enjoy 3 bedrooms & 2 baths with both laminate and carpet floors. Master includes large walk-in closet. Family room features a romantic pellet fireplace. Brand new roof 10-2018. Fantastic layout makes this home perfect for entertainment and also a great escape. Large property, yard and deck to enjoy!